Expressionist art was conceived in opposition of Impressionism. The Expressionist craved emotional drama, pure color and innovation. 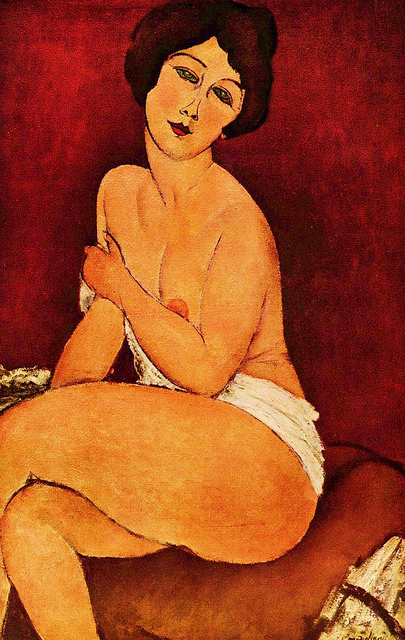 Modigliani asserted "What I am seeking is not the real and not the unreal but rather the unconscious, the mystery of the instinctive in the human race" Expressionist painters look inward at their own emotions, and less on the outside world.